Nearly everyone who travels to one of the theme parks in the Disney World theme park complex takes some sort of camera along for the ride. After all, you don't want to miss any of those once-in-a-lifetime moments. It's tough to know just what camera equipment to bring along, though. Should you rely on a thin, point and shoot camera that can easily fit in a pocket, even if it may not provide you with the exact image quality you desire? Or should you bring along your full DSLR or mirrorless ILC equipment to achieve the best image quality, even if that means lugging a heavy camera bag throughout the parks? Read through the following seven tips -- one for each of the Seven Dwarfs -- to help you figure out the best options for bringing a camera to Disney World! You are allowed to shoot photos throughout the Disney World theme park grounds, except where prohibited at certain rides and attractions. 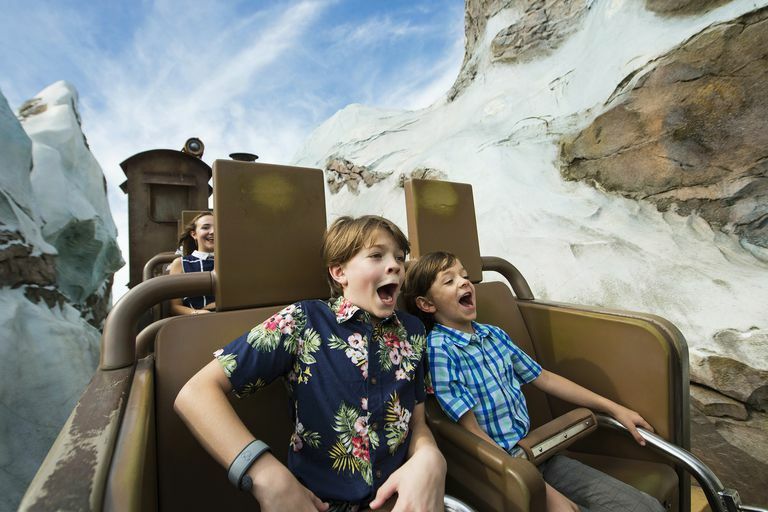 The reason is simple enough: Ride operators don't want someone dropping a camera on a fast-moving ride, such as the Big Thunder Mountain roller coaster at Magic Kingdom, potentially striking someone and causing harm. Signs outside each attraction should list any restrictions on photography and video recording. So with the restrictions in mind, what kind of equipment should you bring? You will spend much of your day walking between attractions or standing in lines for up to 60 minutes. If you're visiting Disney World during hot weather, you may wear yourself out pretty fast if you're lugging 25 pounds of camera equipment in the heat. If you're worried about the heat, keep your camera equipment to a minimum. Surprisingly, nearly all of the rides and attraction at Disney World allow personal bags on the ride, such as camera bags or backpacks, even the Space Mountain roller coaster at Magic Kingdom. For most rides, you'll need to place the bag into a pocket or compartment that's part of the ride, or you'll have to keep the bag near your feet. If your bag is too large, a ride attendant will notify you, and you may have to leave it with a non-rider. It's a good idea to keep a hand on the bag's strap or to stand on the strap because some rides have sharp turns and involve more speed. One option if you choose to take a large camera bag to Disney World is storing it in a locker. Each theme park has lockers for rent near the front gate that are large enough for a backpack or camera bag, and you'll typically be charged between $5 and $10 for the day. Store your camera for a few hours, and then use it for a few hours, so you don't have to carry it all day. Because there are some great props at Disney World, such as Cinderella's castle, you may want to shoot some high-resolution, sharp photos of the family in front of the props that you can print at large sizes. For these photos, you may want your DSLR camera available. But if you plan to shoot photos that you want to share on social networks only, a small camera that will slide into a pocket is probably going to do the trick. And if you want to shoot photos of the amazing fireworks/laser light show over the water at Epcot, you'll need a tripod to go with the DSLR. Think about the photos you want to shoot before selecting your equipment. If your camera cannot fit in a pocket, and you're carrying it with a neck strap, you may have problems on occasion with the harnesses and lap bars and other safety equipment on some of the Disney World rides. The camera might not fit inside the harness. If you don't want to carry your camera at all times, Disney World has professional photographers scattered throughout the parks who will record photos of your group that you can purchase later. And many rides record photos as you’re riding, giving you another photo purchase option, although these are designed more as fun photos and not professional prints you can purchase at large sizes. Heading to Walt Disney World? Check Out These iPhone Apps!